Successfully Added PC Remote Control - Plug And Play Vista Media Control to your Shopping Cart. PC Remote Control, for easy control of all the media functions on your Windows Vista operating system, and completely plug and play without any need for drivers or software. Install the USB Remote dongle, and afterwards Music, Photo, DVD, Video, TV, Radio software can run just as if it were a TV. 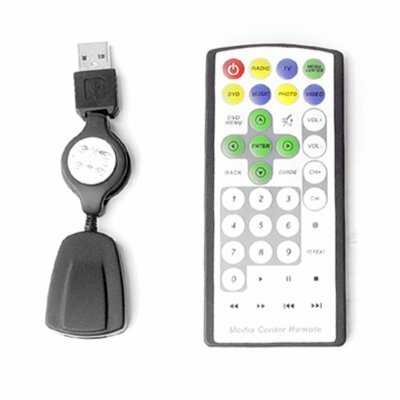 This PC remote is available with absolutely no MOQ, so buy one sample for yourself and make your computer a true home entertainment center, or buy in bulk and see how fast this PC gadget sells..